I'm leading up to something. I promise I am not jumping on the etsy "nautical" bandwagon. I will have an exciting announcement in a few days. Assuming, of course, that all goes as planned this weekend. Well, that's enough of talking around the point. Take a look at these lovelies. 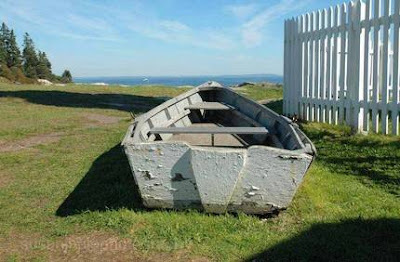 A weather-beaten white row boat from photohale. 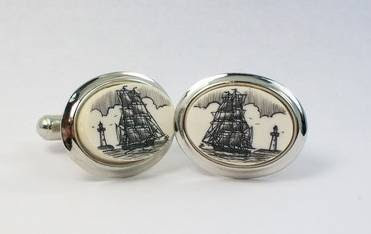 Scrimshaw cufflinks with a ship and lighthouse motif, found in the shop of lindalayden. 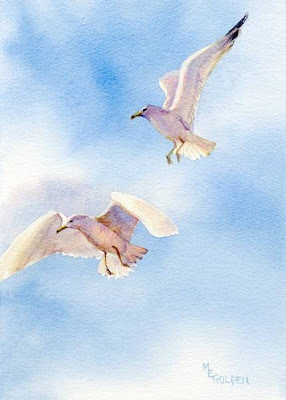 Gorgeous seagull giclee print from an original watercolour. This can be found in the shop of maryellengolden.